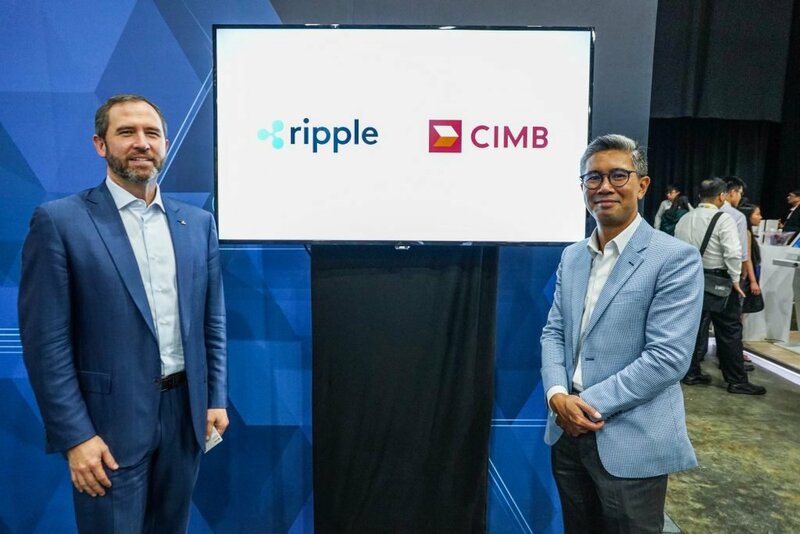 Ripple is set for a grand debut into Malaysia as it welcomes the country’s financial heavy-weight CIMB Group Holdings Bhd into its cross-border payment system. By joining RippleNet, CIMB brings with it a $53.5 billion market cap. Also, the institution’s “SpeedSend” financial solution serves various large markets in South East Asia, with Vietnam, the Philippines, and Thailand included. That means that CIMB’s use of Ripple’s XCurrent payment solution will resonate across the region. This development comes as Ripple continues to gain a lot of traction in the global market. However, the company has dismissed speculations that it’s intent on signing a partnership with SWIFT. Speaking during the Singapore Fintech Festival 2018, Ripple’s CEO told the Bloomberg that none of that is actually on the table. If anything, Ripple’s goal is to take over from SWIFT. At the moment, SWIFT has around 11,000 banks on its network. Ripple has roughly over 100 customers and is making huge steps in wooing more. In fact, some of the world’s largest banks like Santander and Standard Chattered that have been using SWIFT are now jumping ship to join Ripple’s RippleNet. RippleNet offers a fast and secure cross-border payment solution with minimal transaction costs, and that’s something many financial institutions find very attractive. According to data obtained from the World Bank, the total value of global remittances is predicted to hit $642 billion by end of this year. That’s a 5% upswing from the $613 billion of 2017. XRP is the native cryptocurrency used on RippleNet as a base currency for quick fund transfers. Although some products like XCurrent don’t utilize XRP, the cryptocurrency has been impacted positively as Ripple expands its customer base across the world. Just a few days ago, Ripple bagged another large customer – Japan’s MUFG bank.